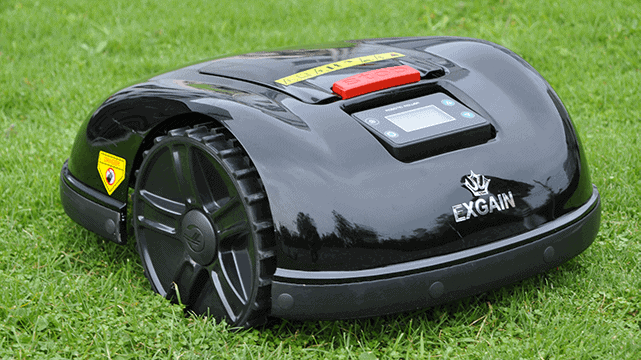 The E1600T is our largest and most capable model Robotic Lawn Mower. Brushless Cutting Motor with a 13.2Ah Lithium battery. 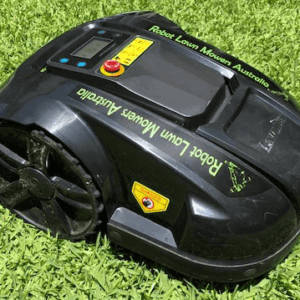 Designed to maintain lawns up to 3600m2, it has Wi-Fi connectivity to control and program through IOS and Android Apps. This unit can be programmed to service up to 6 different areas with separate schedule settings for each area. Maintains up to 3600m2. 300m2 per hour. 1300m2 per battery charge. 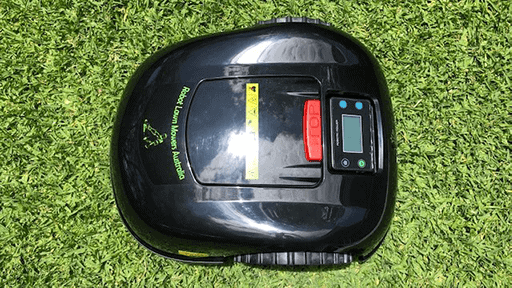 Unit will return to its charging station automatically when it is finished mowing or when the battery runs low. Fully programmable scheduling on a daily per area basis. Program nearly all features via free IOS or Android App. Programmable for up to 6 separate mowing areas. 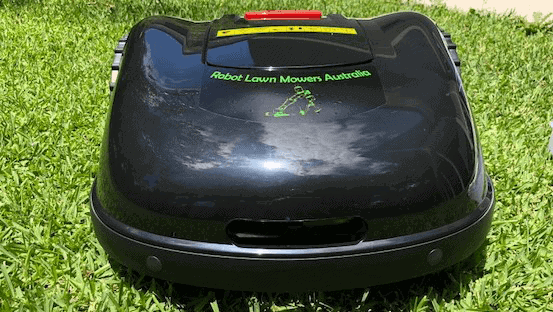 This is very useful for areas with narrow entries and lawns that require mowing at different intervals. Secured customisable PIN Code makes this unit unusable to any would be thief. 13.2Amp Hour Lithium Battery. With an average working time of 4-5 hours, and approximately 5 hours charging time. Fully integrated Wi-Fi connection. Program nearly all features via free IOS or Android App. Capable of climbing and descending hills of up to 30 degrees. Travel speed of 35cm per minute. Blade speed of 3000rpm. Cutting width of 28cm. Manual Dial adjustments between 2.5cm and 5.5cm in height. Very user friendly intuitive LED display. Very quiet operation (less than 60dB.) Suitable for continuous outdoor use and storage without cover. Gyroscope sensing enables straight travel, even when crossing slopes of 30 degrees. Rain sensing allows the unit to detect rain and return home until it has stopped. Unit will continue its scheduled mow once it is dry. Emergency Stop button for easy shut down. Unit stops as soon as it is lifted above 35 degrees. 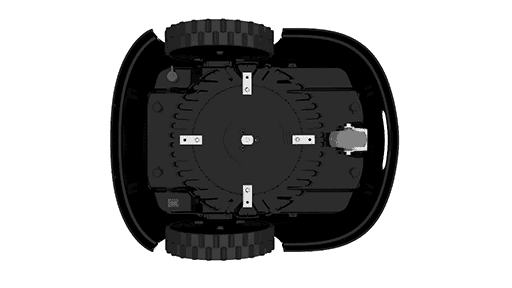 Bump sensor is activated when the unit runs into any obstacle. Unit will reverse and change direction when bump sensor is activated. Unit will shut down on any mains power fail. Unit requires the installation of a perimeter wire. Which is included in the box. Perimeter wires are more accurate and secure. Unit will shut down if the perimeter wire is cut. 1 year Australian warranty. Covers parts and labour. User Manual – Click here to download. Work Area – Will maintain a maximum work area of 3600m2. 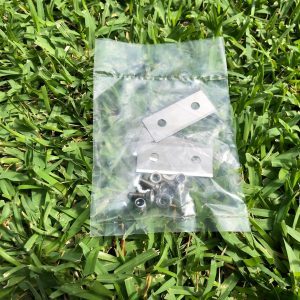 It will cut approximately 300m2 per hour and 1300m2 per battery charge. 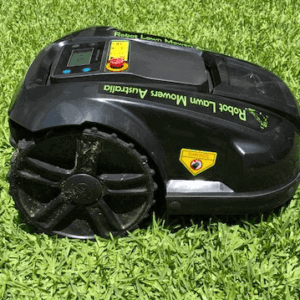 Safety – This Robot Lawn Mower has bump sensors that stop the mower and turn it around when it hits an unexpected obstacle. If the unit is lifted during operation it will stop travel and the cutting blades. 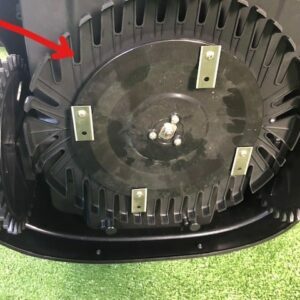 It also has a large easily accessed Emergency Stop button on top to manually stop the mower when needed. Functionality – With a perimeter wire installed to set the required work area and protect gardens or pools etc. the E1600T will mow up to 6 separate work zones that are programmed to a set schedule. 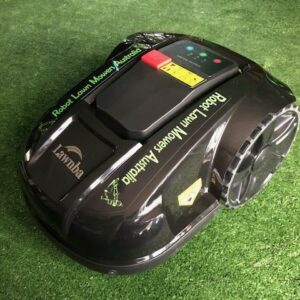 With up to 5 hours of operation per battery charge the robot will also return home to it’s charging station at the end of the scheduled time or when the battery runs low. If it is raining at the schedule time to mow, the mower will return back to it’s home station until after the rain has stopped. WiFi Connectivity – Connect to the robot using WiFi and free App for both IOS and Android devices. Program and set nearly all the features of this robot through this remote connection. Security – Programmable with a security pin code. 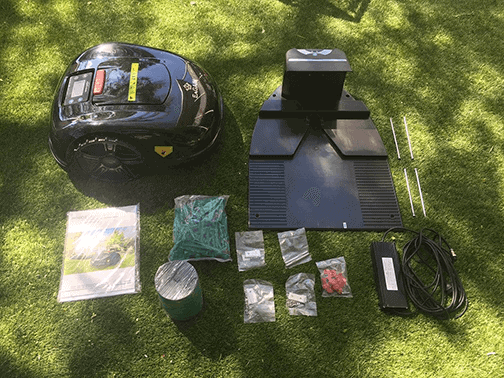 The mower is unable to be operated without the correct code and the correct charging station. WiFi connectivity is also secure with a customisable SID name and password. 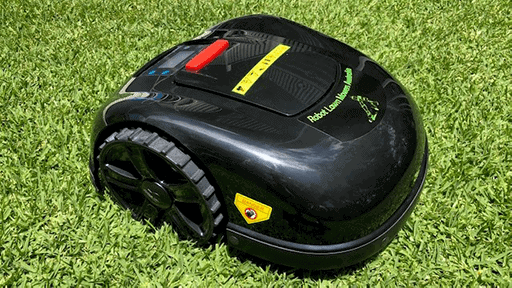 Mowing Features – With a Brushless Cutting Motor with adjustable cutting height of between 2.5cm and 5.5cm this mower will travel at 35 metres per minute at a cutting width of 28cm. 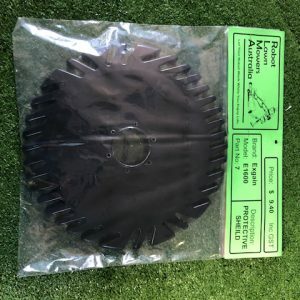 The mower housed 4 retractable blades that rotate at 3000 rpm. This robot will tackle slopes of up to 30 degrees while travelling and 15 degrees on the perimeter wire. Other Features – Very low noise at less than 60dB. User friendly LCD screen for local operation and programming. 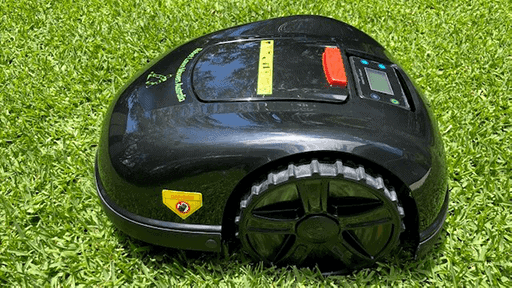 Weather resistant to IP54 for continuous outdoor use, this Robot Lawn Mower is not required to be housed or protected from the elements. 13.2Ah Lithium battery which takes up to 5 hours to charge and allows for up to 5 hours of operation. Website Designed By ITiQLD. Search Engine Optimisation By Ranking Australia.